The alumni of the London Kings, Nationals and Knights (KNK) are reaching out to help kids from economically disadvantaged families to play hockey in London. Effective October 1st, 2015, as the result of a generous donation to KidSport London, the KidSport hockey grant of $250 will be increased to a maximum of $500. This grant can be used for hockey registration. To apply for the grant, visit http://www.londonsportscouncil.ca/kidsport-london/. 2nd Annual Jim Allen Memorial KidSport London Golf Tournament on Wednesday, June 10, 2015 at The Oaks. Thank you to all those who participating! We are happy to announce that the event raised over $17,000 to help local underprivileged youths participate in sports! For pictures, visit our Facebook page here. SAVE THE DATE – Next year’s tournament will be held on Wednesday, June 8th, 2016 at the Oaks Golf and Country Club. Be sure to check back for updates and registration information. 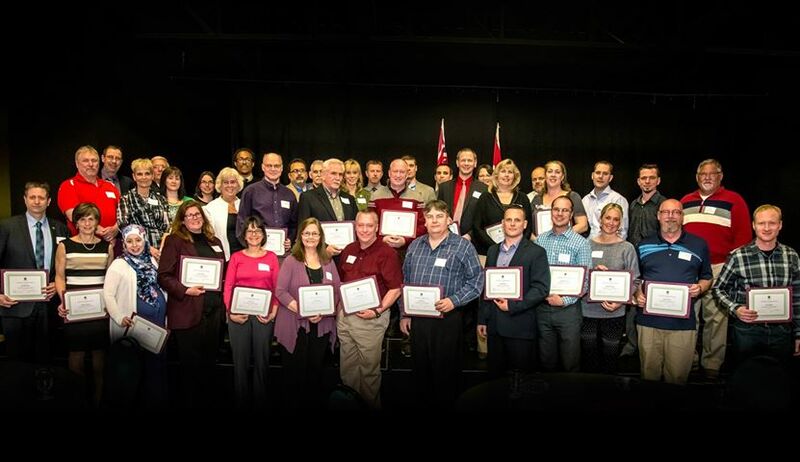 Congratulations to the over 50 well deserving volunteer recipients, who were recognized for their amazing volunteer work in the London sport community. Volunteers carry out virtually every key function in amateur sport including coaching, administration, officiating, event organization, and execution. More importantly they have a key role to play in creating a safe environment for kids in sports. The City of London and London Sport Council look forward to hosting the 2nd Annual Volunteer Recognition Night in April of 2016. Nomination process will be available for 2016 recipients in Fall of 2015.